Creative Suite perpetual licenses to Creative Cloud subscriptions. Adobe Systems’ competitors smell blood in the water. and productivity software group. Corel launched a promotion that lets Adobe CS4, CS5, and CS6 users buy Corel software for the upgrade price rather than the full price. previous months,” said marketing director Charles Moir. to pay upgrade fees every year or two for new versions. month. It also sells individual product subscriptions for $20 a month. Creative Suite 6 versions and a handful of exceptions such as Photoshop Elements, Lightroom, and Acrobat Pro. — and Adobe says it won’t backtrack on its subscription move. professionals. Now, though, competition see a way to pick that lock. Adobe’s pricing move has Quark giving new attention to QuarkXPress. month, QuarkXPress 9 customers now get a free upgrade to version 10.
paying for the all-you-can-eat buffet. files, also is trying harder to woo customers using Adobe’s Acrobat. Nuance, which also makes PDF tools, saw the same opening. customers to its illustration tools. company also just released version 2.2, which among other changes added vector-based illutration tools that compete with Illustrator. 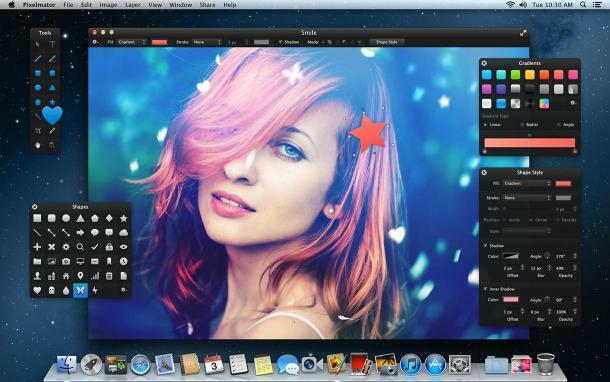 compete against Photoshop and InDesign. But it only runs on Windows. work on Windows and Mac. Corel is considering its development priorities, too. But there’s a big difference between offering subscriptions an option and offering them as the only option.